At first glance this is just a cute script to make a coffee machine. 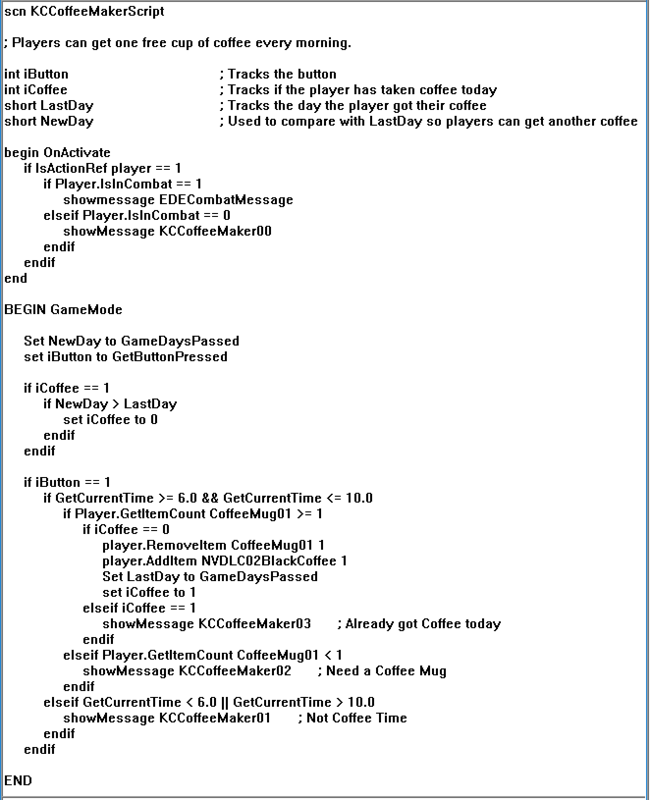 What is very cool about this script is how players can ONLY get coffee from it at the right time and ONLY once a day! Plus, the player has to have an empty coffee mug. This script could easily be the template for vending machines, zip cars, and pretty much anything that has a specific time of operation with limited uses... and requires some kind of currency.